Mailman Potter delivers mail. 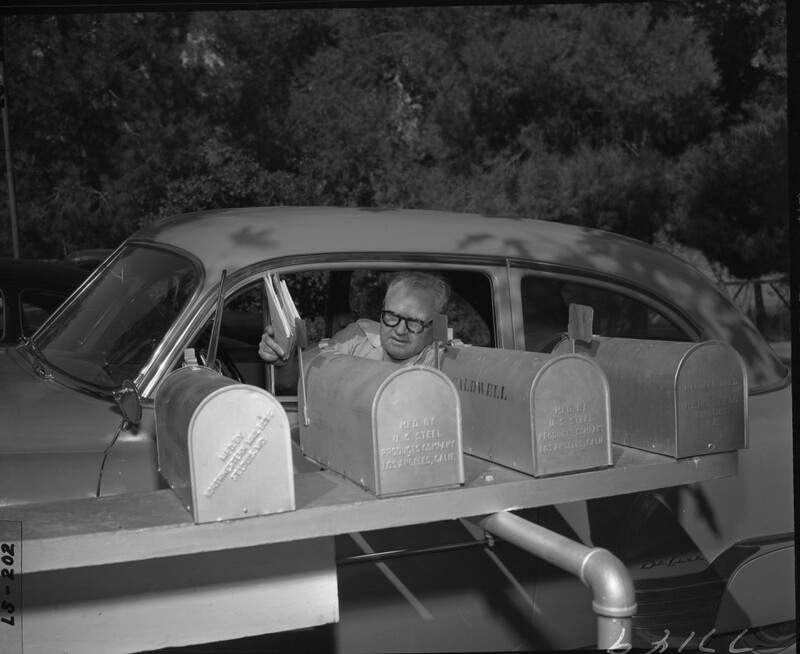 Los Angeles Times Photographic Archive, Negative 78149. UCLA Library Special Collections. The Times described Potter as, "a stocky, 56-year-old gray-thatched man with the amiability of an old-time saloonkeeper, the tact of a diplomat and the driving characteristics of an Indianapolis racer..."ii which is in sharp contrast to Potter, the boy wizard, but interestingly (coincidentally? ), they both seem to have a similar taste in eyewear.